When it comes to fish I could live on salmon, sea bream and sea bass only (in this order). After years of experimenting I've found a few recipes that guarantee excellence in taste, and here comes one of them. More to add to its delicious taste, eating fish could only benefit your health. 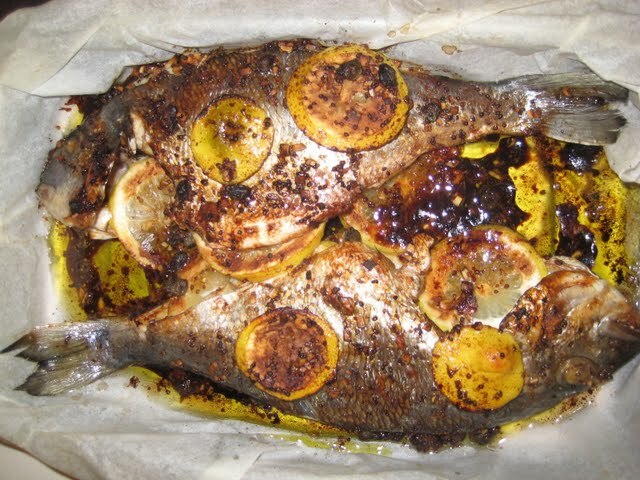 300 grams of sea bream, for example, delivers 50 gr of protein, which is approximately my recommended daily intake. And as I don't eat meat, fish remains one of the most important ways of getting protein. "I'm Too Busy To Exercise"